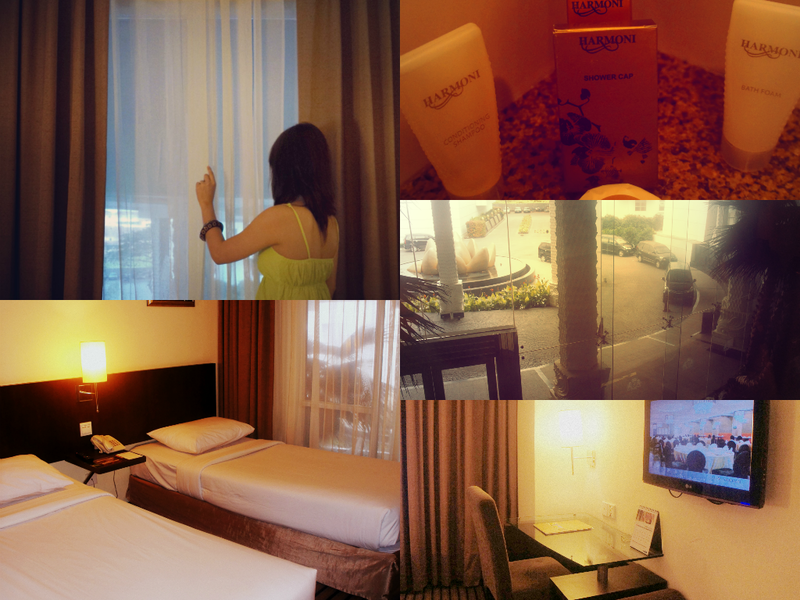 After our Batam City Tour, we checked-in at Harmoni One Hotel Batam. Whew! I'm so happy we'd finally be able to rest. I was suffering from severe headache and felt a bit nauseous after that tour because of the heat outside. 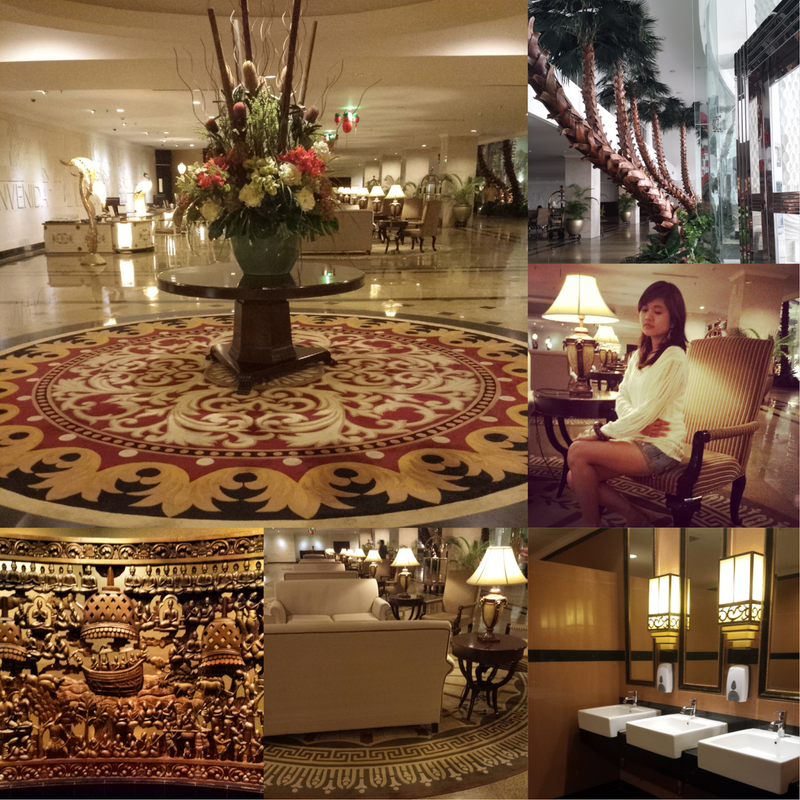 When we entered the second floor lobby, the temperature suddenly dropped! It was really cold (like it's winter)! Grrrrr!!! My headache actually got worse. It was so bad that I had to come face to face with the Mr. toilet bowl to ease thyself. Uuuggh!! From here, I'll be taking you to a quick photo tour inside Harmoni One Hotel Batam. Upon arrival, the hotel served us sour soup refreshments. It was surprisingly good and refreshing. No, not sour at all. You might want to check out my outfit post : Knitted Top x Denim Shorts. 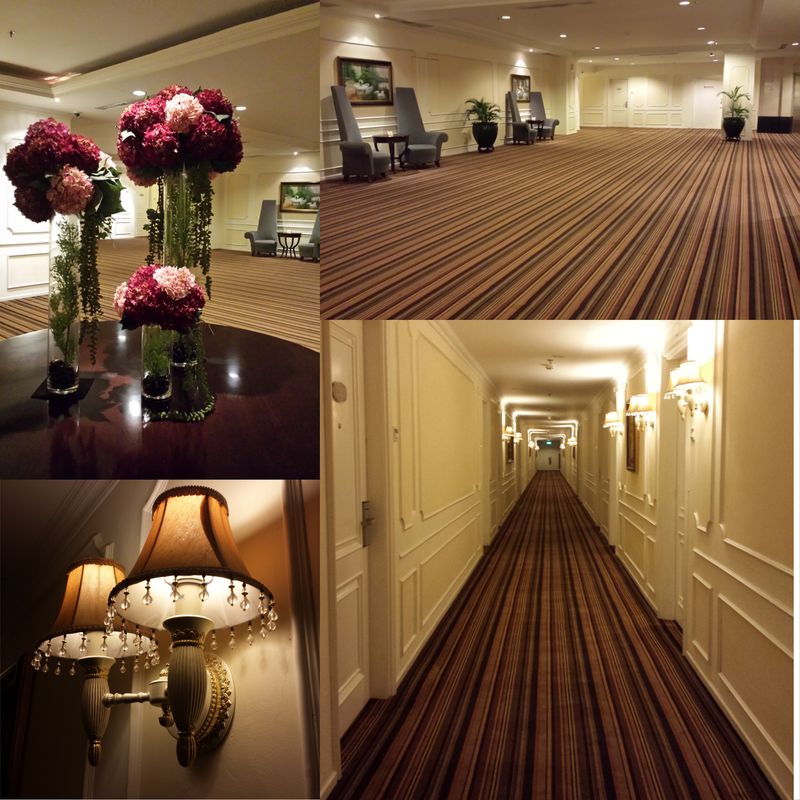 On our way to our room, the largest-guest-room-lobby-we've-ever-seen-so-far greeted us. We really felt it's a waste of hotel space. Unfortunately our deal.com.sg voucher only included a twin bedroom sharing (sad face). But, there's a room upgrade to a deluxe room costing $20 SGD if you want. But we didn't bother to do it since we only get to stay here for a night. and 2 pairs of room slippers. The room is well maintained and decent enough. I was informed that this was a 4-Star Hotel but I thought otherwise. I thought it's a 3 star hotel. 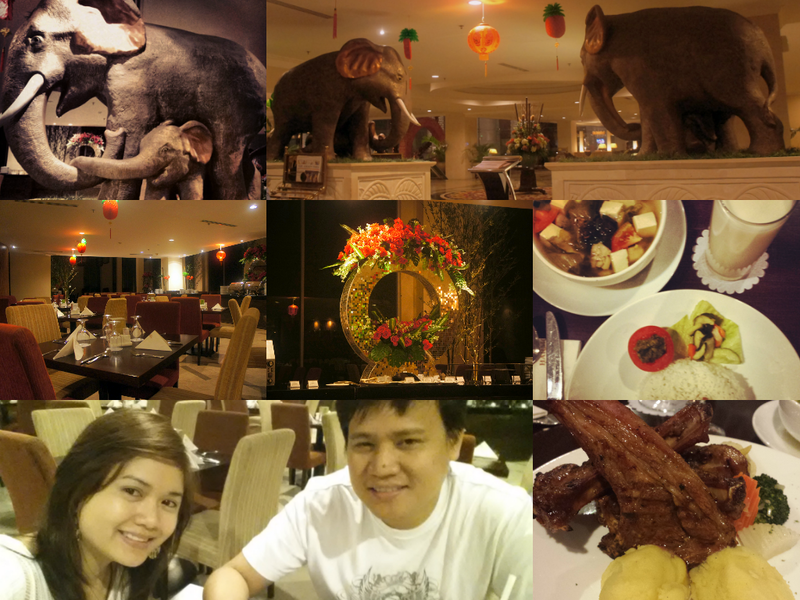 We had our dinner at Bamboe Cafe and Restaurant located at the hotel lobby ground floor. The food is good and affordable, but we we're the only ones dining here. Hmm.. I wonder why? Could it be because it's already late? Anyway, we spent Rp 228,690 for dinner with 10% service charge and 10% tax. Remember it's 1 SGD = 10,000 IDR. Affordable right? 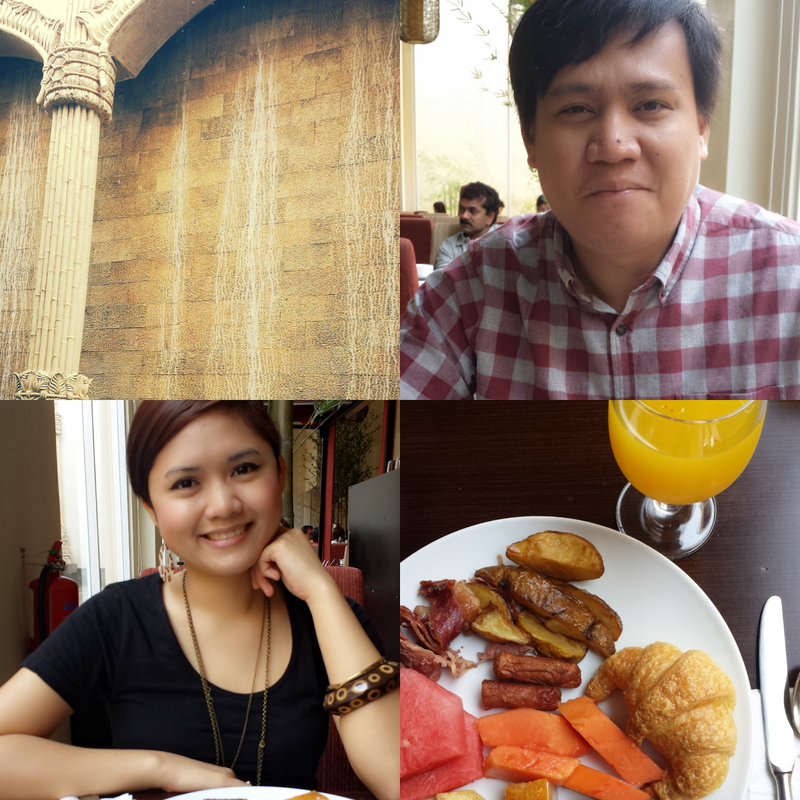 Our voucher comes with a free breakfast at the hotel. It was a buffet style breakfast. We really thought that only a handful of people checked-in at the hotel but we we're surprised to see the dining hall packed. You might want to check out my 2nd day outfit post : Black Short Sleeve Top x Vertical Striped-Skirt. The swimming pool was a sight to behold. Unfortunately, we didn't dive in because I'm still recovering from that headache last night. 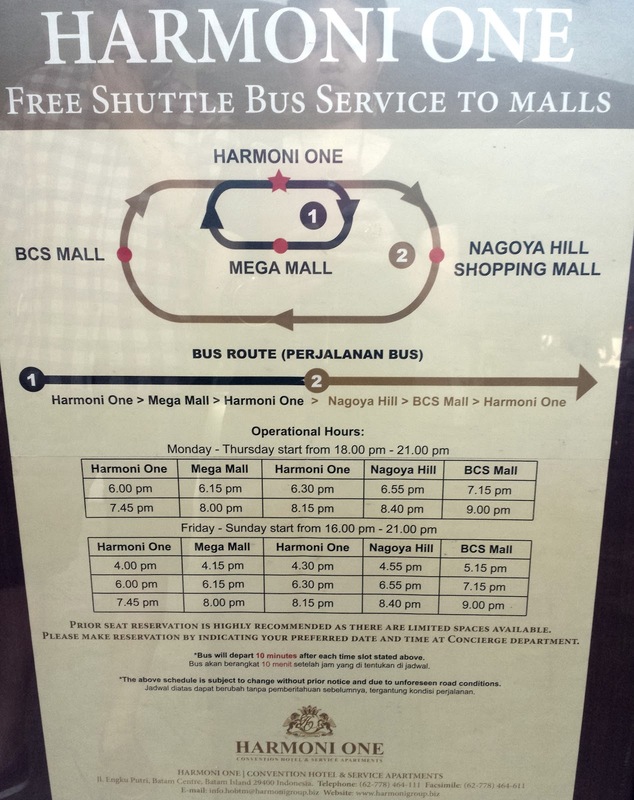 The hotel offers free shuttle service to the following areas (seen in the photo below. So if you're bored at the hotel you can actually go out. Unfortunately, there's no morning schedule. Overall, Harmoni One Hotel Batam is a good hotel as it is affordable, clean and lovely. However I would love to see more activities in the hotel as I find the lobby a bit lifeless. UP NEXT : Travelling to Batam.